In 1984, the charitable supergroup Band Aid sang: “There won’t be snow in Africa this Christmas time.” In fact, it does snow in Africa at high elevations. 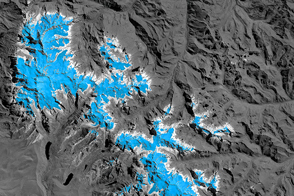 Kilimanjaro has long been crowned by a cap of snow and ice, though it has been shrinking. Skiiers travel for natural and manufactured snow in the Atlas Mountains of Morocco and Algeria, as well as a few spots in South Africa and Lesotho. 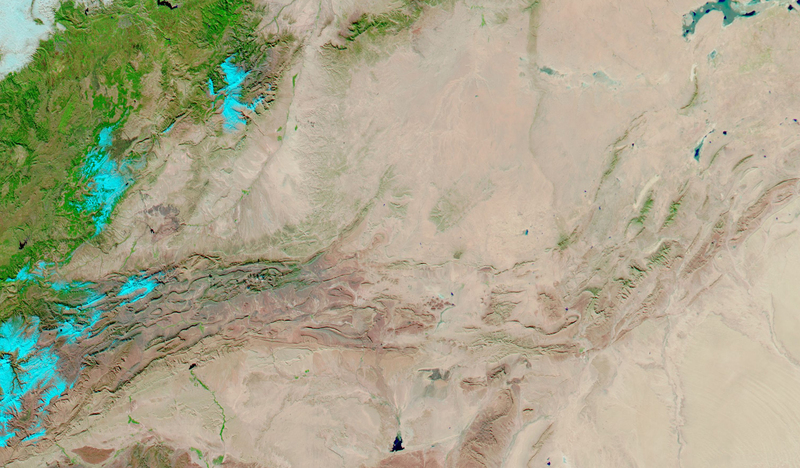 Nonetheless, snow on the edge of the Sahara Desert is rare. On December 19, 2016, snow fell on the Algerian town of Ain Sefra, which is sometimes referred to as the “gateway to the desert.” The town of roughly 35,000 people sits between the Atlas Mountains and the northern edge of the Sahara. 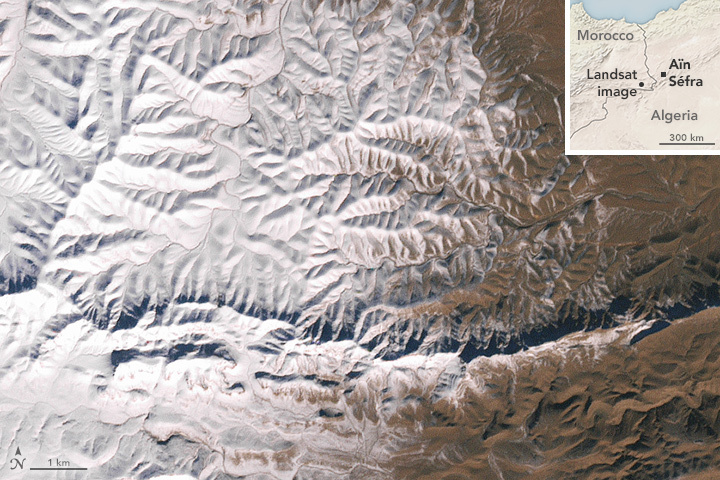 The last recorded snowfall in Ain Sefra occurred in February 1979. 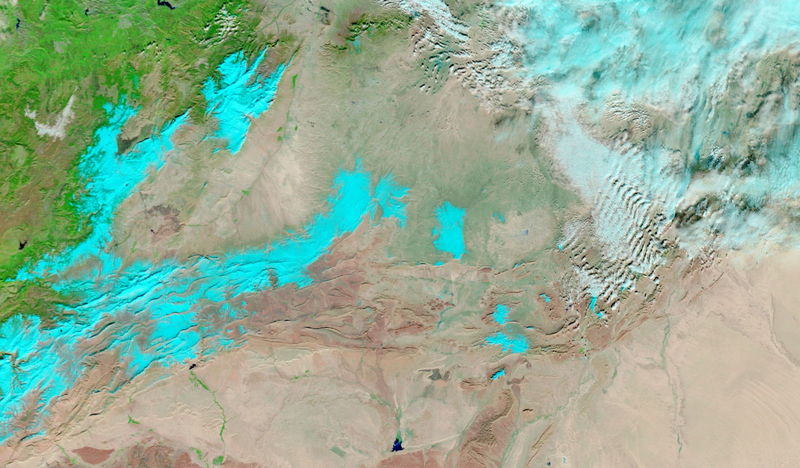 The Enhanced Thematic Mapper Plus (ETM+) on the Landsat 7 satellite acquired a natural-color image (above) of snow in North Africa on December 19, 2016. 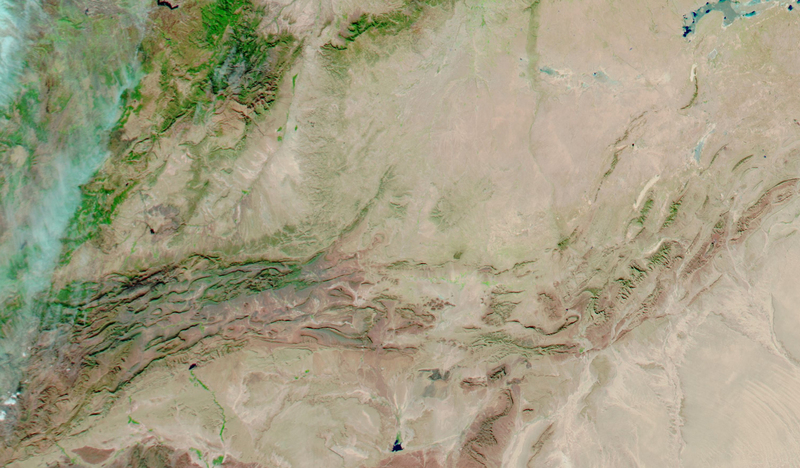 The scene shows an area near the border of Morocco and Algeria, south of the city of Bouarfa and southwest of Ain Sefra. 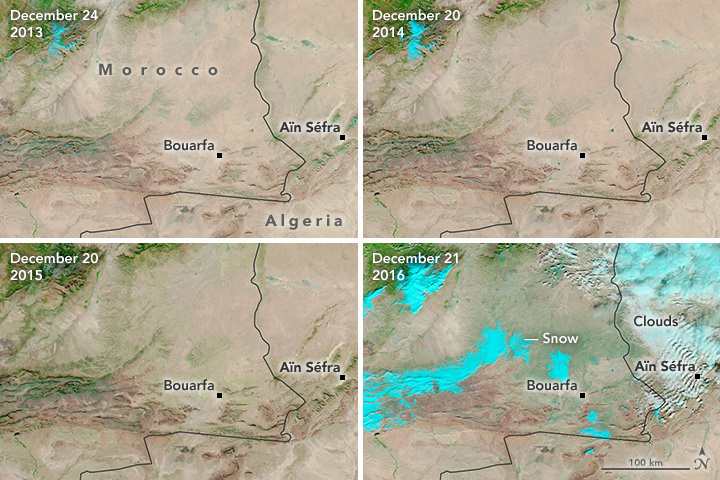 Though news accounts have been dominated by the snow in the desert city, a review of several years of satellite data suggests that snow is also unusual in this section of the Saharan Atlas range. 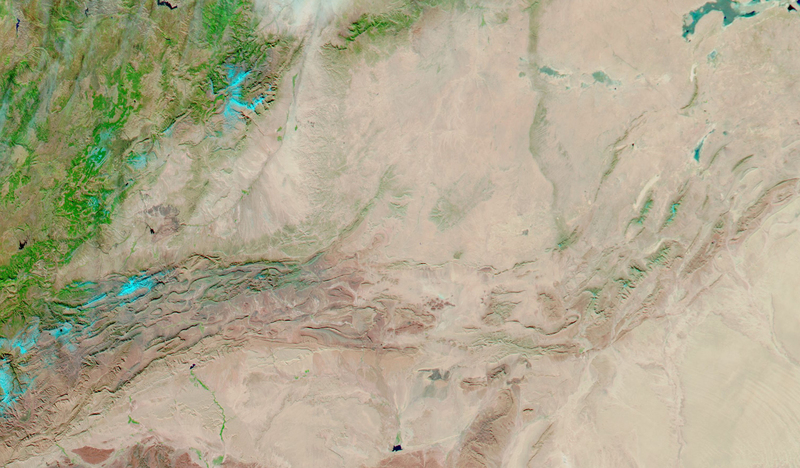 The images below show December observations made over the past four years by the Moderate Resolution Imaging Spectroradiometer (MODIS) instruments on NASA’s Aqua and Terra satellites. 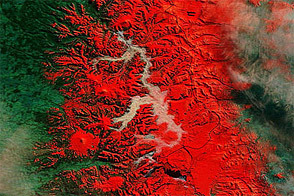 The false-color images blend infrared, shortwave infrared, and visible red wavelengths, and snow shows up as a bright blue-green color. Photographer Karim Bouchetata has posted a series of photos showing a thin veil of white atop the orange dunes and green vegetation around Ain Sefra. See his facebook page. Sadly, the snow was gone by the next day. 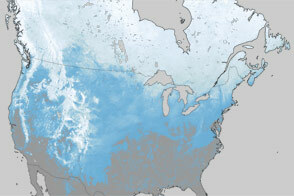 The snow fell in a region where summertime temperatures average 37°Celsius (99°Fahrenheit), though wintertime temperatures have been known to get down into the single digits Celsius (30s Fahrenheit). Such moisture is as rare as the cool temperatures, given that just a few centimeters (inches) of precipitation fall here in an entire year. 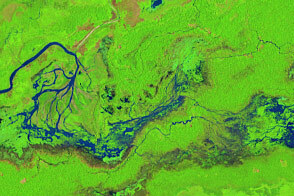 NASA Earth Observatory image by Joshua Stevens, using Landsat data from the U.S. Geological Survey and MODIS data from LANCE/EOSDIS Rapid Response. Caption by Mike Carlowicz. 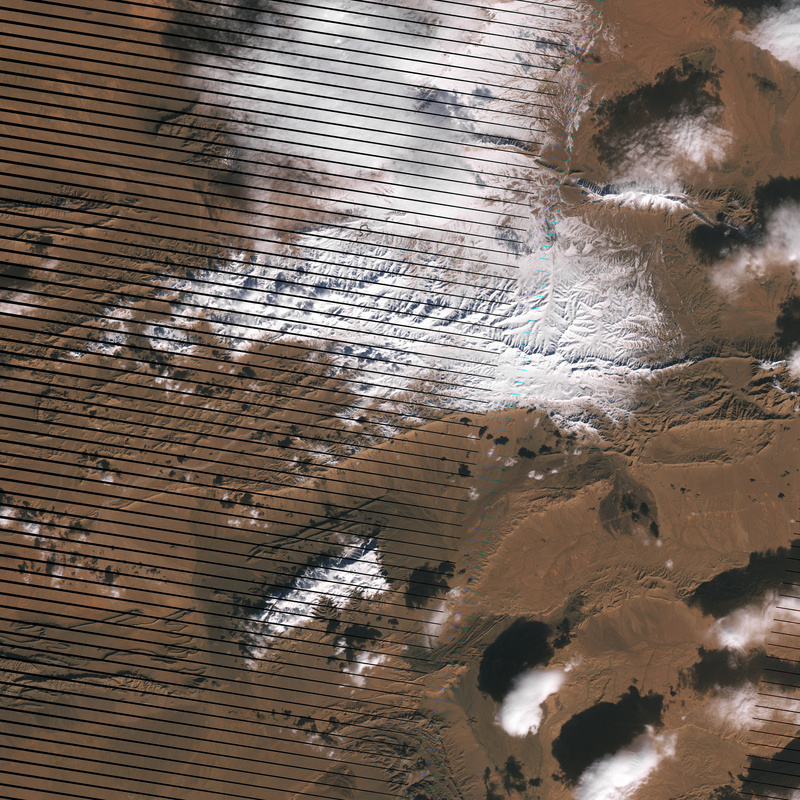 Orange sands in Morocco and Algeria got a white dusting just before the solstice and Christmas. The Independent (2016, December 21) First Sahara desert snow in 40 years captured in photographs. Accessed December 21, 2016. Pulse Nigeria (2016, December 21) Snow falls in Sahara for first time in 37 years. Accessed December 21, 2016. The Washington Post (2016, December 21) ‘Everyone was stunned’: Snow falls in Sahara desert town for first time in 37 years. Accessed December 21, 2016.